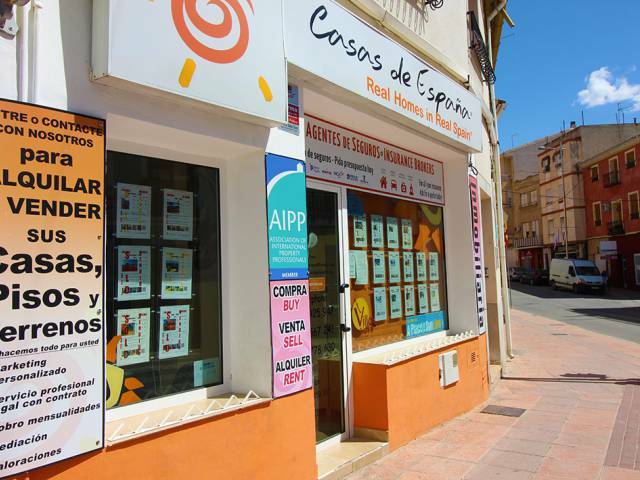 Large town house set in the antique quarter of historic Blanca town with lovely views. Entrance into a small lounge area, ground floor large bedroom and additional smaller bedroom. Stairs to first floor. Large fitted cupboard. First floor comprising landing area, lounge with nice views, large flat screen television and air conditioning installed. Fully fitted kitchen with appliances, fully fitted shower room. Third bedroom with large walk-in wardrobe. Second floor presently as large open plan bedroom with storage area. Mains water & electric connected, with solar hot water system installed providing free hot water, in very good condition throughout, fully furnished with many brand new items, ready to move in straight away.